Looking for a way to enhance the appearance of your workspace or home? 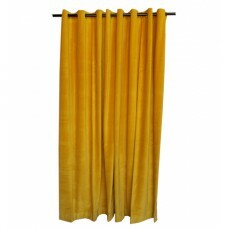 Then these cotton velvet curtains are sure to do the trick for you. 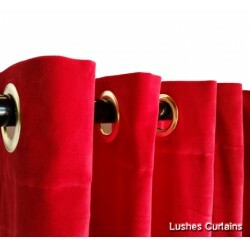 Made from high-quality cotton piles, these are the best cotton velvet drapes for sale around. They don’t cost a fortune, and they look amazing! 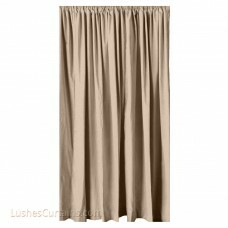 Aside from their stunning aesthetics and luxurious appearance, these curtains are pretty functional and help in sound reduction. 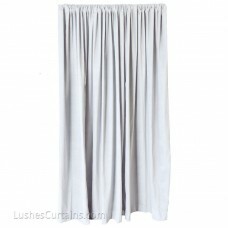 Not only are they well-suited as a classic adornment for your home, they can be used in home theatre rooms, as a room partition, in clubs and in the recording studio. Our Cotton Velvet Curtains for sale give off a theatrical vibe which makes them exceptional if you’re aiming to get that movie theatre ambiance for your residence or workspace. They’re heavy and adequately thick enough to effectively reduce noise and excess sound from the surroundings by absorbing it. 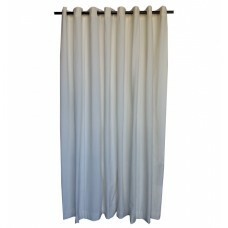 With a wide variety of styles and colors to choose from, you’re sure to find what suits your preference. 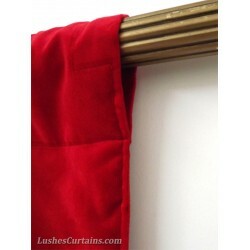 Choose between rod pocket and grommet eye top panels and customizable lengths to get the perfect accessory for your home, captivating velvet drapery. 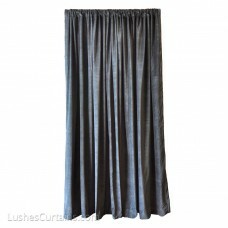 Even if you’re looking to decorate a rather large area with our timeless and trendy velvet curtains, you needn’t worry because we can prepare a customized order according to your requirements. Get all these amazing features and much more when you buy a set of our classic velvet drapes that add the essence of a modern yet traditional aura to your office or home. Place an order today! 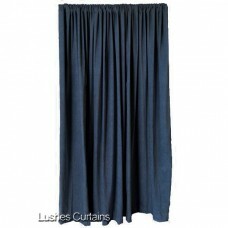 © LushesCurtains.com 2019. All Rights Reserved.